Buying a business laptop or the laptop for school might be an easy task, but when it comes to buying a laptop for specific niches such as CAD and 3D modeling, you need to check a lot of different things. These are the kinds of works carried out by professional architects by using CPU throttling software like AutoCAD, Solidworks, and various other heavy applications. These softwares require a workstation-like powerful laptop with a stellar set of configuration. So, what are the important things to check in a laptop which will be used specifically for CAD by architects? And, what are the best laptops for CAD and 3D modeling available to buy in the market right now? Let’s find them out. You might be thinking of spending over $1000 bucks and getting a powerful laptop with new six-core Intel i7 or i9 processor and latest Nvidia GTX or RTX GPU for CAD works, that would definitely work but CAD softwares such as Solidworks and AutoCAD do not actually recommend these CPUs and GPUs for running their softwares. What they recommend is, Intel Xeon series of processors and Nvidia Quadro or AMD Radeon Pro (formerly Fire Pro) series of GPUs because they are specifically designed for CAD, 3D modeling and rendering works. These aren’t the normal CPUs and GPUs, and they are not even used in normal laptops. These are the multi-core hyper threaded CPUs and GPUs which are found only on workstation laptops and they are optimized to run heavy applications. The laptops with Intel i5 and i7 processors can also be used for CAD. In fact, they are the perfect options for students and the architects on budget. But, make sure that you buy the laptop with quad-core or hexa-core CPUs because dual-cores are considered to be very weak to handle CAD applications. You can find all the quad-core i5 and i7 processor model numbers and their detailed comparisons in our guides to buy the laptops with i5 processor and laptops with i7 processor. 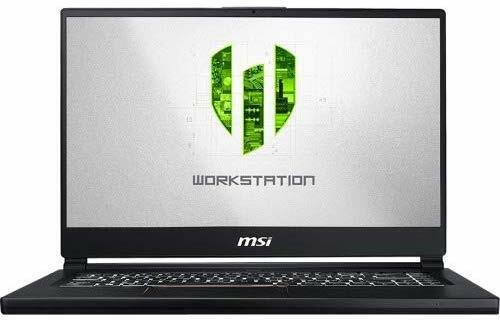 Well, if you are into 3D modeling and complex CAD works then we would recommend you to buy a portable workstation laptop for yourself. They will be costly, but all the CAD applications will just fly on those laptops (You will find them on our list of recommended laptops for CAD below). RAM – The amount of RAM installed on the laptop makes a significant difference in the performance of the laptop. Most of the CAD software vendors recommend minimum 8GB of RAM, but we think that’s for 2D modeling and basic CAD works. For 3D modeling and rendering, at least 16GB of RAM is necessary and if you have to deal with more advance work loads then you may need 32 or 64GB of RAM. 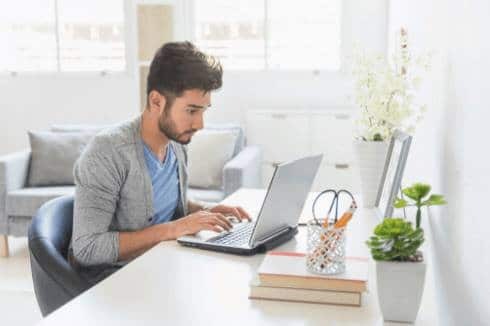 Storage – For storage, SSD is strictly recommended in a laptop for CAD because its reading and writing speeds dramatically increases the overall performance of the laptop. You can choose the amount of storage as per your requirements and budget, but make sure it’s at least 512GB as CAD files are massive in size. Display – The display is another crucial thing to check on a CAD laptop. The screen of the laptop should be glare-resistant with comfortable viewing angles and should also be color accurate. We recommend IPS display with full HD or 4K resolution for CAD and 3D modeling works because they are good at every aforementioned aspect. So, if you are an architect or a student in an architecture major, then these are the few important things to check before purchasing the laptop for yourself. Now let’s have a look at few of the laptops which are hand-picked by our team of laptop experts to reduce your efforts in finding the best laptops for CAD from a lot. 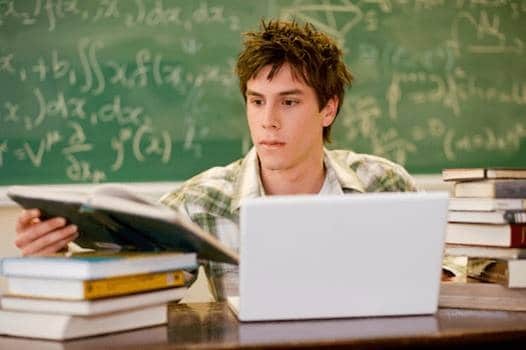 We will have a look at laptops in all budget constraints, from $600 budget laptops to stellar configured $3000 workstation laptops because not everyone would be able to afford those high-end workstation laptops, especially students. So, let’s begin. 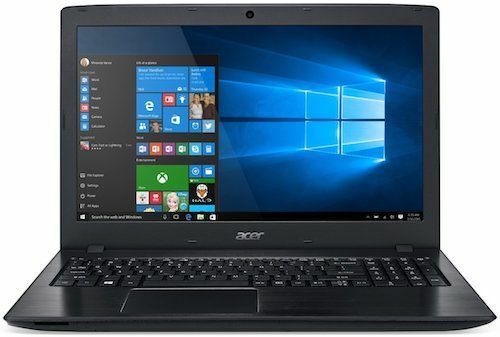 Acer Aspire E 15 is not just one of the highest selling laptop from Acer, it is also the most user admired series of laptop ever made by Acer. The Aspire E series doesn’t just offer a strong set of configuration in its laptops, they offer them at affordable costs. Speaking about this laptop, in particular, it sports a standard 15.6-inch Full HD display with a resolution of 1920 x 1080 pixels, which is bright and vivid. Under the hood, the laptop is powered by an 8th Gen Intel Core i5 quad-core processor paired with 8GB of RAM. The laptop offers ample memory for multitasking and is bolstered by a 256GB of SSD drive. On the graphics front, the laptop comes with a 2GB of Nvidia GeForce MX150 dedicated graphics. So ideally for everyone who needs to use their laptop as a designing tool, a large, bright and vivid 15.6-inch Full HD display, powerful graphics performance is what makes or breaks a deal. And in the case of Acer Aspire E 15, the laptop makes a lot more hits. What makes the deal even better, is its affordable pricing, which is ideal for all the students and professionals looking for laptops for 2D CAD applications. However, if you need an even more powerful laptop for 3D CAD and rendering, then drill down to the bottom of our list to find an ideal laptop. Are you a novice in CAD and looking for a perfect laptop to start your career in designing? Then the New Dell G5 is an ideal laptop for CAD works, which is now available at an even attractive price. The laptop is not just a power-packed machine but is also a graphics-driven one, which is ideal for multiple uses such as gaming, designing, rendering and more. Speaking about the innards of this laptop, it is powered by the latest 8th Gen Intel Core i5 quad-core processor clocked at 2.3GHz – 3.9GHz. For multitasking, it comes with an abundant 8GB of RAM which can be upgraded up to 32GB. Storage department on the laptop is handled by a massive 1TB of HDD and 128GB SSD for faster file transferring and accessing speeds. On the graphics front, the laptop comes with an NVIDIA GeForce GTX 1060 6GB DDR5 graphics coprocessor with 1280 CUDA cores. The laptop sports a 15.6-inch Full HD IPS display which has decent color coverage and is bright enough to use outdoors. 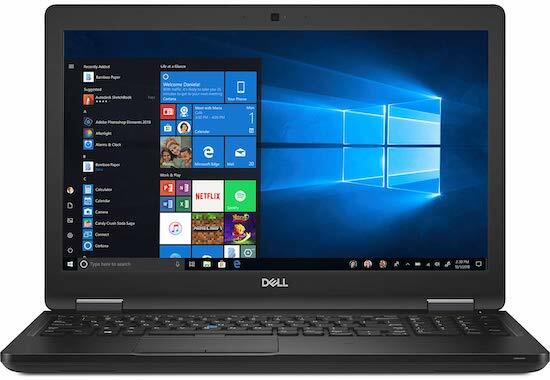 All in all, a powerful processor and graphics processor, a bright and vivid display along with a decent battery life in the Dell G5 makes it an ideal choice of laptop for AutoCAD, Solidworks, and other CAD applications. Tired of using Windows? Looking for an unmatched user experience with the world’s most refined and polished operating system? Then the New MacBook Pro 15″ with touch bar is undoubtedly an unmatched option if budget is not the problem. The latest MacBook Pro 15 bundles all the right essential one would expect in terms of graphics, productivity, and most other vital aspects. It is powered by a hexa-core Intel Core i7 processor paired with a massive 16GB of RAM. The laptop also offers a fast 256GB of SSD storage unit. As far as the graphics on this work machine is concerned, it comes with a 4GB of dedicated AMD Radeon Pro 555x. All these powerful specs comes in a chassis that weighs just 4 pounds which gains it an upper hand when compared with other laptops in its segment. Moreover, it can be configured with up to Intel Core i9 processor, 32GB of RAM, 4TB of SSD and latest Radeon Pro Vega 20 graphics, but all these options will run you over $7000 which is very steep. There are other options which offer similar specs at half the price, but they don’t come in such slim and lightweight form-factor. 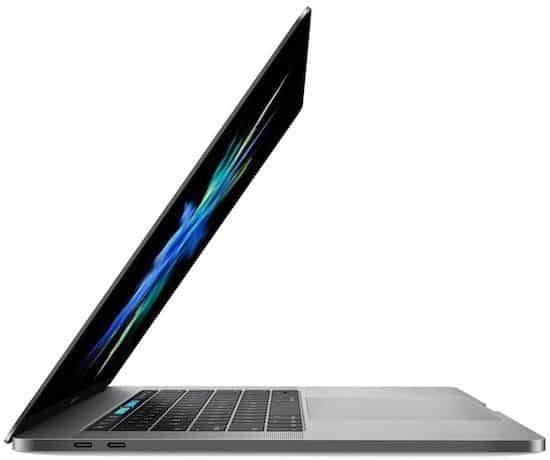 What makes the MacBook unique is its macOS Mojave which offers the best resource utilization and the best-in-class battery backup of up to 10 hours of continuous usage. Thanks to all the aforementioned list of specifications Apple’s latest MacBook Pro is ideal for both 2D and 3D CAD applications. The Lenovo Thinkpad P52 is the latest addition to the Thinkpad’s P series of laptops from Lenovo. The laptop is well-known to provide a workstation-class performance along with a long-lasting battery backup. Speaking about the configuration of this laptop, it is powered by a six-core 2.7GHz Intel Xeon Processor coupled with a best in class 16GB of RAM. It offers 512GB of SSD for storage, but we would advise buyers to add another storage drive in one of its two empty slots inside. Sporting a 15.6-inch Full HD display, the laptop offers great depth in colors and viewing angles, which is best for designing and drawing based applications such as CAD. Moreover, the display is also a perfect choice for multimedia. 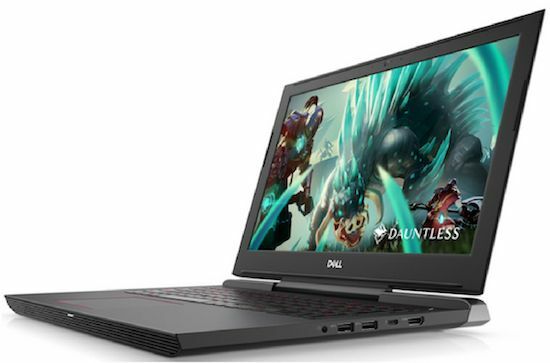 Additionally, the laptop offers a 4GB of NVIDIA Quadro P2000 dedicated graphics which is the most recommended and specially designed graphics processor for CAD works only. Now comes the unique selling aspect of this laptop, its battery backup, which is the best we’ve ever seen on a stellar laptop like this. The laptop can run up to 13 hours even while running CPU throttling CAD applications. 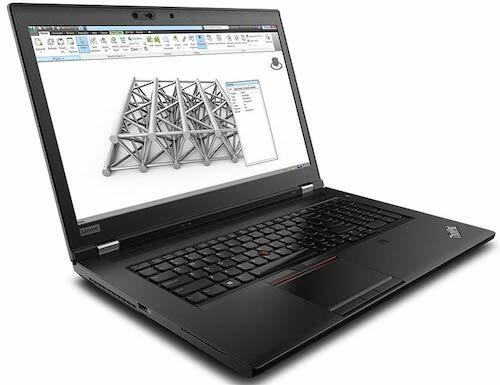 That’s really impressive, and hence Lenovo ThinkPad P52 is one of our most recommended laptop for CAD works, 2D modeling and for 3D modeling right now. Irrespective of which version you choose, both of them are perfect for both 2D and 3D CAD applications. When you’re in search of a laptop, you need to research for all the possibilities out in the market. But there are some laptops in the market, which can be opted without any further references and MSI is one such laptop maker. The brand has a very firm grip in the market, in terms of its powerful gaming laptops. That said, the laptop comes with a compelling graphics performance aiding the CAD softwares, and as an added feature, it also comes with a beautiful 15-inch full HD display with thin bezels. Speaking about the innards of this laptop, it draws its power from an Intel Core i9 processor (2.9 – 4.8 GHz) paired with 32GB of RAM. As far as the graphics on this beastly laptop is concerned, it comes with a powerful 6GB of Nvidia Quadro P3200 dedicated graphics. You’ll be amazed to know that all these really mammoth lists of specifications come in a lightweight, slim chassis that weighs just 4.1 pounds. 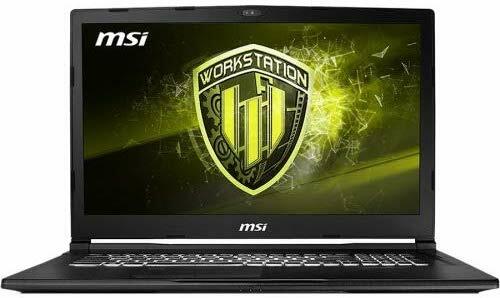 Overall MSI WS65 is the best workstation laptop for CAD work with the powerful set of specifications and portable outfit. Dell Precision 3530 is a truly powerful laptop by all means. Its powerful performance along with flawless graphics performance makes it one of the ideal laptops for SolidWorks for CAD work. It can be configured with up to Intel Xeon processor, but if you are on a budget, then it can also be configured with the eighth gen Intel Core i5 or i7 processor. As far as the graphics are concerned, it comes with a dedicated NVIDIA Quadro P600 graphics processor. The laptop sports a 15-inch full HD display and comes with a best-in-class performance. 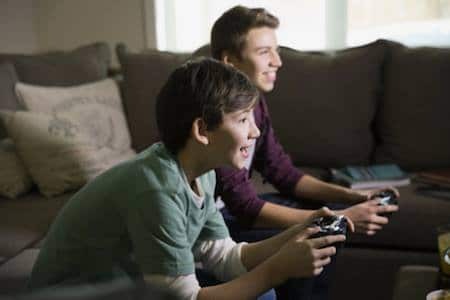 The bright and vivid screen paired with a powerful graphical ability of the GPU gains it a clear upper hand over various other laptops in the segment. Moreover, the cut-throat pricing of this laptop is what makes it unique from its competitors. Whatsoever may be the application or niche is, the Precision 3530 is a powerful device which can handle all the graphics related applications such as both 2D and 3D CAD, architecture, gaming, and more. HP ZBook series of workstation laptops have earned a lot of fame among the architects. They are known to provide the mobility and extreme level of performance for doing extensive CAD works on the go. 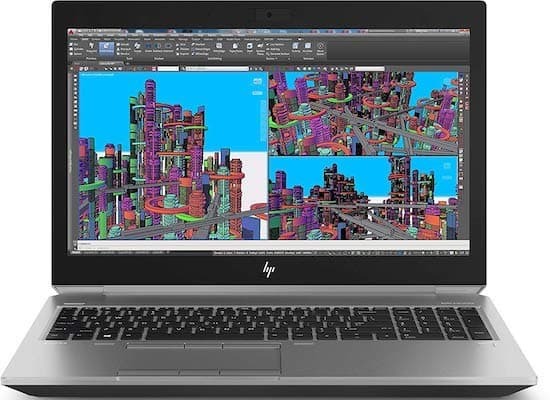 The newest HP ZBook 15 G5 is a power-packed workstation laptop, and it is perfect for running high-end CAD software. It comes with a 15-inch full HD IPS display with an anti-glare coating, so it is good for eyes, and it is also a color accurate panel with excellent viewing angles. On the hardware front, the laptop bolsters a powerful hexa-core Intel Core i7 processor paired with 16GB of RAM and 256GB of SSD for storage. Pretty standard specs right? Well, the graphics processor on the laptop is what differentiates it from the rest and makes HP ZBook one of the best laptops for CAD. It has Nvidia Quadro P1000 GPU with 4GB DDR5 dedicated graphics memory so no matter how much big is your CAD project, this laptop is going to make everything buttery smooth. 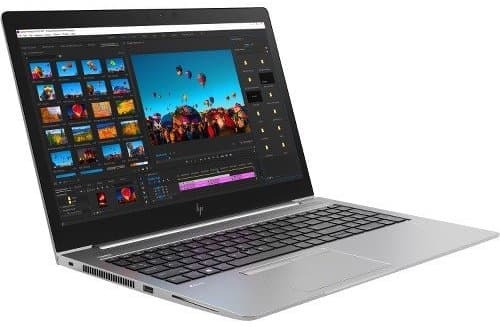 Coming to the price, this particular variant of HP ZBook 15 G5 is available for $1,849 right now which is an excellent price considering the specs and its other notable features such as backlit keyboard and a wide selection of ports and slots. The single only drawback of this laptop is its weight. It weighs around 6 pounds which is higher than its competitors, hence this laptop may not be the right choice to work on-the-go but you can travel with it in a backpack quite easily. The ZBook 15u is a smaller sibling of aforementioned HP ZBook 15 G5 Workstation laptop which comes with little less powerful specs but in a lightweight chassis. The laptop is reasonably priced at $1,749, and for that price, you get a quad-core Intel Core i7-8650U processor, 8GB of RAM and 256GB of SSD for storage. Graphics on the laptop are backed by powerful AMD Radeon Pro WX 3100 dedicated graphics. The hardware specifications on the laptop may not be the best you can get for the price, but this laptop weighs under 4 pounds, hence it is one of the best lightweight laptops for CAD available right now. If you don’t want to compromise on performance and still want a lightweight machine for CAD, then Dell Precision 5530 will be your best bet. It packs a powerful Intel Core i9-8950HK six-core processor, 32GB of RAM, 512GB of SSD drive and Nvidia Quadro P2000 4GB DDR5 graphics inside the chassis that weighs just 3.9 pounds! 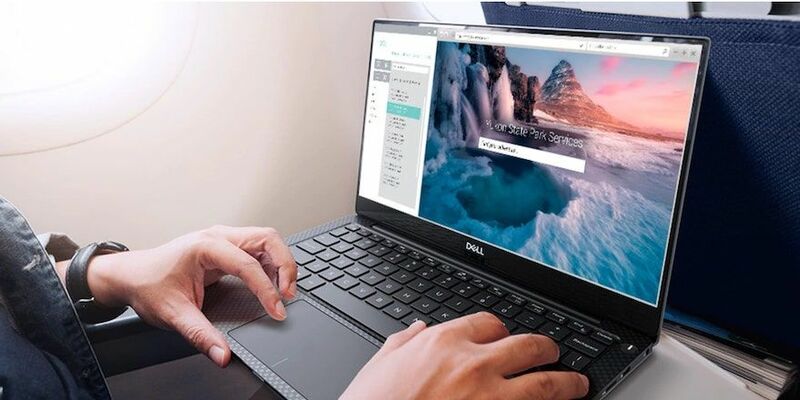 The Dell Precision 5530 is a professional architect’s recommended laptop for CAD because of its ultra high-end hardware and portability features. If budget is not a problem, then the Dell Precision 5530 is the best workstation ultrabook money can buy right now. 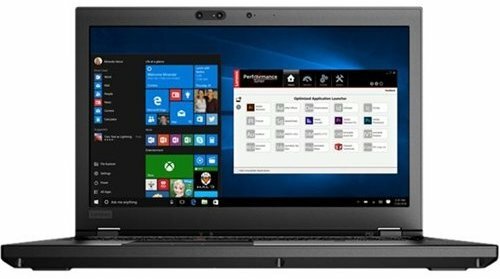 If money is not your concern and you’re expecting an impeccable performance for your use, then the Lenovo ThinkPad P72 Mobile Workstation laptop is the best anyone can recommend. Before we start elaborating about this laptop, we’d like to say don’t get amazed looking at its beastly specifications. The laptop is powered by an Intel Xeon E-2186M processor paired with a mammoth 64GB of RAM. Yes, you’ve heard it right. Storage is managed by a 512GB of SSD drive but it has three storage drives inside so you can configure it as per your requirements. The laptop comes with a 17.3-inch UHD 4K display to provide an excellent viewing experience. Graphics on this laptop is bolstered by a 16GB of Nvidia Quadro P5200 dedicated graphics. The laptop also packs in a long list of specifications and additional softwares which well-suits for most of the graphics handling applications such as CAD (both 2D and 3D), architecture, gaming, and many more. We really hope that this extensive guide from us will help you to get the perfect laptop for your CAD work. We’ve not only brought the best laptops for your usage but have also covered all the various budgets, to make it efficient and effective for the users of all categories. So, it’s now up to you to choose your ideal laptop from our list. Finally, we’d like to advise all architects and students in architecture major that, you don’t often end up buying a laptop. That said, it is a one-time investment. So you better extend your budget before buying a laptop. Do visit back for updated and new listings of laptops. If you feel we’ve missed out on any better deal, do comment! Hi, I have an Acer Aspire F15 laptop with a GEforce 940mx dedicated video card and can not get Autocad to recognize the video card. As you are recomending it for CAD use I asume you may have some info about how to make it work. All I can say is, try re-installing the AutoCAD. I would recommend you to post your problem in AutoCAD forums, they shall help you to resolve this. Is that i7 quad-core? If yes, then these are pretty decent specs for CAD. Its a Intel Core i7. Will that be sufficient? If it is quad-core i7 then you’re good to run CAD software. If it is dual-core then you might face little sluggishness depending upon the kind of CAD work you do. Hello, what do you think about the MSI WS60 6QH ? i7, 16RAM, Quadro M600M – For Maya, Nuke, etc. It will be an excellent choice. I would recommend you to go with it. Would the huawei matebook x pro satisfy cad/cam requirements? Well, it can handle but its GPU may fall short. And, I am not sure how its thin chassis will handle the high amount of heat generated inside due to the CPU throttling CAD apps. If you have can spend more, then look at Dell Precision and HP ZBook laptops. Is the DELL XPS 15 (2018) i7 laptop a great choice for AutoCAD 2019? Or do you recommend something else at that price? 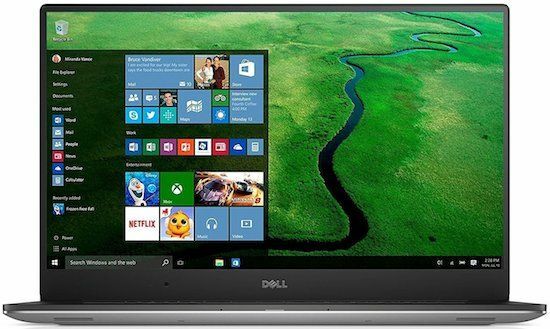 It would be great option for CAD but also check out the new Dell Precision 5530 laptop. You can get it with the Nvidia Quadro graphics and Intel Xeon CPU which are certified for CAD.